I don't know about your family, but we seem to have a lot of weddings going on this summer. Some of my cousins have/are getting married, and my brother-in-law just proposed Sunday night, so we'll be having another wedding in September. So fun! Although being eight months pregnant at my brother-in-law's wedding doesn't sound like too much fun when the camera rolls out, but it's not my day, it's theirs. I recently helped with some decorations for one my cousin's bridal shower and reception. While browsing Pinterest for a few ideas, I ran across an adorable printable that I knew I needed to recreate. 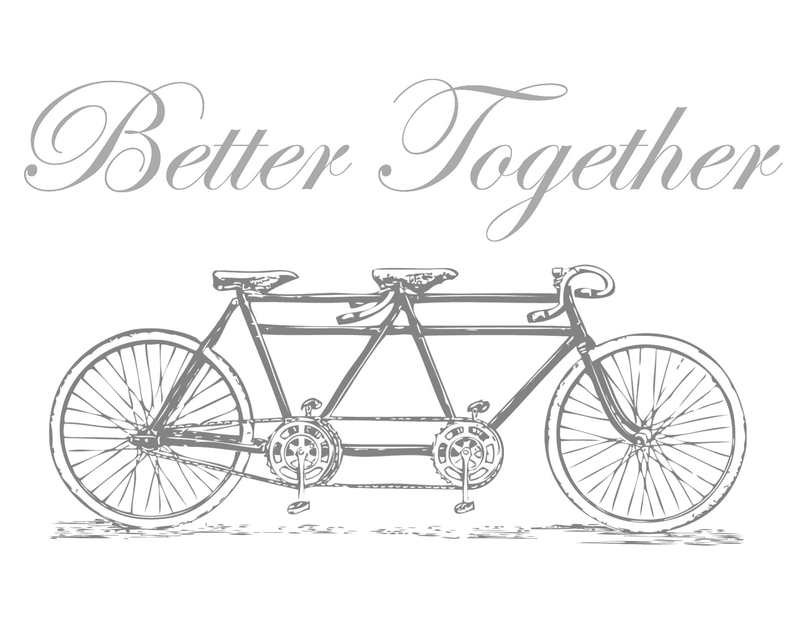 It fits marriage perfectly, and I love the vintage tandem bike! I also couldn't decide on one set color scheme, so there are four to choose from. Hopefully you'll find something to your liking. I love the all gray, and I want this in our bedroom. 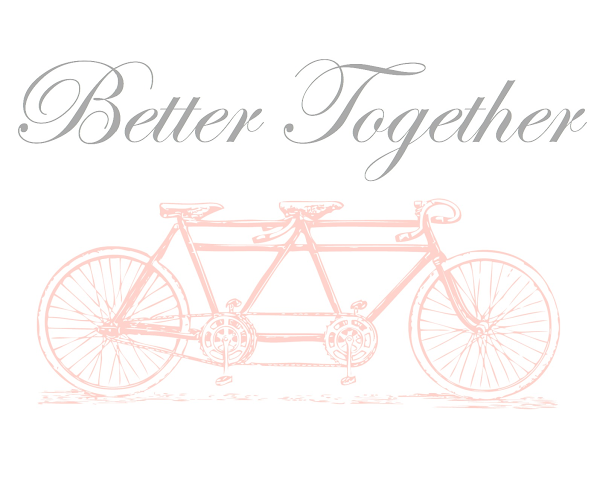 We aren't exactly newly weds, but this is perfectly fitting for any couple- no matter how many years of marriage! Thank you to Vintage Printables for the free darling bike image. I can't wait to do more printables with it! Wonderful work and so amazing experience share.